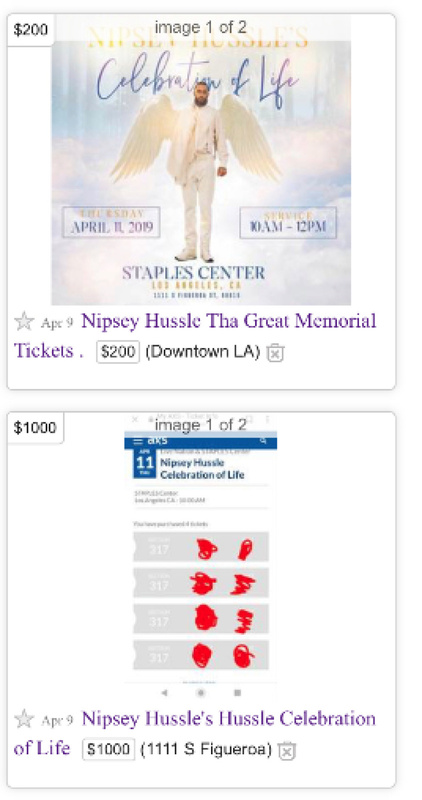 Tickets to Nipsey Hussle's memorial at Staples Center in downtown Los Angeles on Thursday are completely sold out. L.A. collectively mourned the rapper and community activist when he was shot and killed late last month in front of his clothing shop. Free tickets to the event were snatched up by 11:30 a.m., only an hour and a half after they were released. The tickets were only available to California residents. By 1 p.m. scalpers were already selling them on Craigslist. Screenshots taken at the time show prices up to $1,000. Details about what the memorial will include are sparse thus far, but doors open at 8 a.m. Thursday. Staples Center is encouraging people to get there early thanks to heavy anticipated traffic in downtown L.A. They're also banning cameras and recording devices from the venue, which they say is out of respect for the family. The service is scheduled for Thursday morning from 10 a.m.-12 p.m. The event organizers promise to release details soon on a public procession. 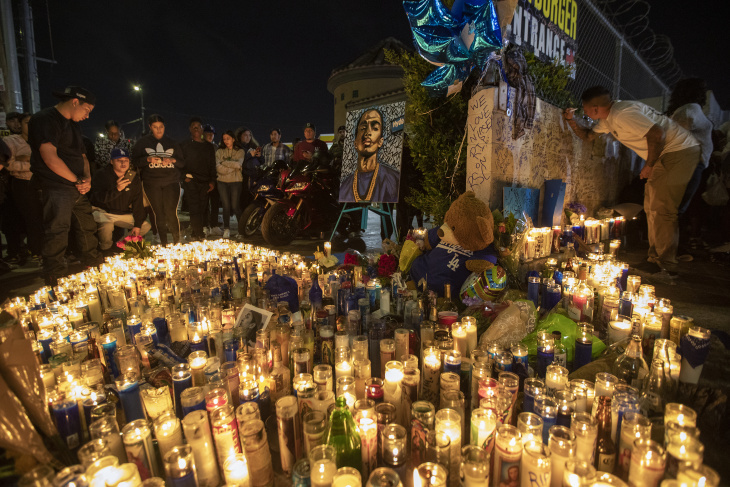 It's the latest outpouring of love and support for Hussle. Kanye West paid his own tribute during his weekly Sunday Service.